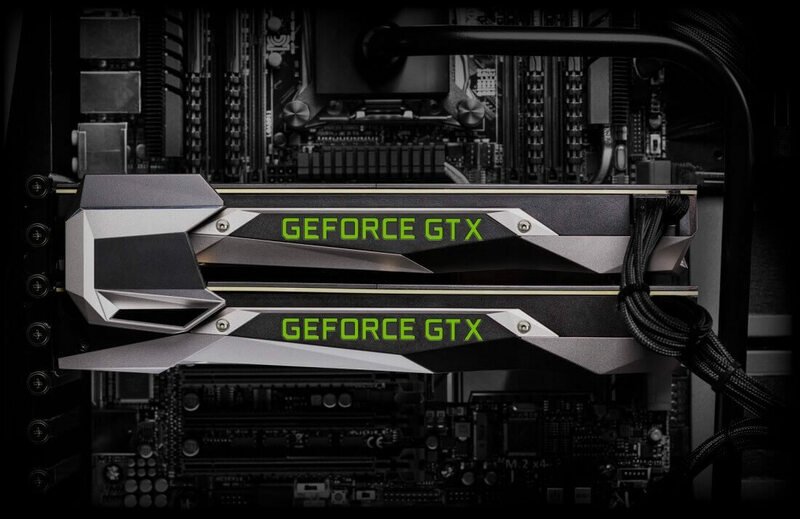 Highly anticipated: Is the anticipation for Nvidia’s next generation of GeForce cards driving you to despair? Thankfully, you might not have much longer to wait before the first GTX 11 series arrives. YouTube channel Gamer Meld claims the GTX 1180 will launch at the end of August, with a staggered release for the other GPUs. Gamer Meld reports that it received an email from one of Nvidia’s add-in board partners regarding the current and next-gen components. 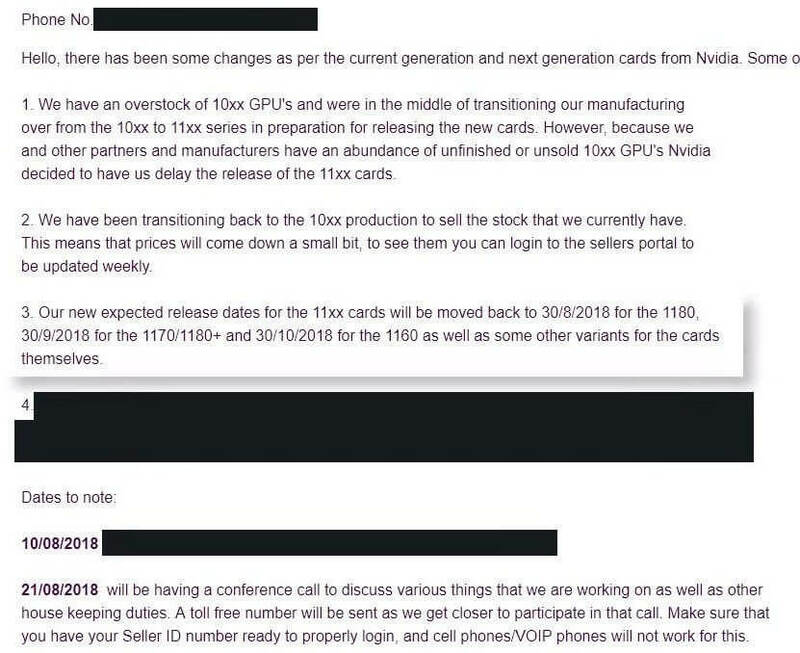 It states that the 11xx cards were delayed due to other partners and manufacturers having an abundance of unsold or unfinished 10xx GPUs. It lists the new launch date for the GTX 1180 as August 30. The 1170/1180+ will arrive on September 30, while the GTX 1160 is set to show up on October 30. The mention of a GTX 1180+ is interesting. Whether it turns out to be the GTX 1180 Ti, a name for third-party cards (non-Founders Edition versions), or a faster-clocked variant of the standard 1180 remains to be seen. It’s worth remembering that this all needs to be taken with a pinch of salt, though there are some elements that line up with previous reports. We heard news of Nvidia miscalculations leading to excess GPU inventory last month, while some journalists have been invited to a PC-related Nvidia event at Gamescom at the end of August, where the GTX 11 series could be unveiled. The email also mentions a conference call set to take place on August 21, which may be in preparation for the GTX 11xx launches. Whether the email is real or not is debatable, but it seems that either way, we'll definitely know a lot more about Nvidia’s upcoming cards by the end of next month.